Quirkworks is updating its mailing list for future releases. Radio stations, spas, meditation centers, etc. that would like to be added to our promotional mailing list, please send your contact info to: quirkwork@aol.com. I look forward to hearing from you and if you have any questions, please feel free to contact me. 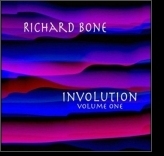 Make way for another Richard Bone album! The tracks are almost complete and a work in progress title. Seven dark ambient works for contemplation on the next step in human evolution, which is almost upon us. "Alien Comic at Club 57"
An 80's film created by Merrill Aldighieri of a Richard Bone and Tom Murrin performance, along with three of her other films, will be added to the Museum of Modern Art's permanent collection. Richard's piece is entitiled "Alien Comic at Club 57". 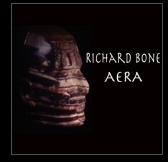 AERA, a collection of 25 rare and obscure tracks released on a gorgeous engraved rosewood USB drive. This sweet package consists of 25 tracks in a VERY limited and numbered edition of 25 only, packaged in a custom metal tin. The AERA USB contains 2 hours of music in a variety of styles. (SOLD OUT) Get the details here. Track listing, ordering links, samples and more can be found here. 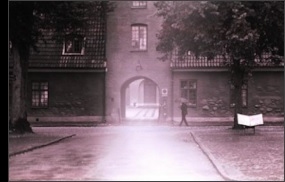 In Integral Theory, the process by which the Divine manifests the cosmos is called involution. 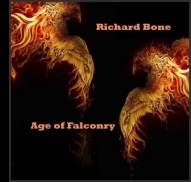 "The Obtuse Tantrums EP features Richard Bone’s return to his new wave/synthpop roots, where he began his career signed to Survival Records UK in the 1980s. Four newly recorded vocal songs, “17 Delilahs”. “Song For A Tantric Caravan”, “Krishna Town” and “Blind Pope” are released on Quirkworks and the Attractive Co-Ordinates label. 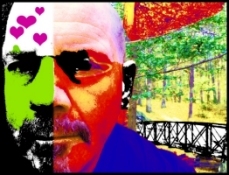 Four upbeat slices of retro synthhpop from an artist who was there the first time." Vinyl EP or digital, both are available now.... Find out more on this page. 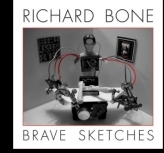 Orlandomaniac Music is proud to present a new retrospective album of early synth-pop demo works by Richard Bone, celebrating the 10th Anniversary of 'Untold Tales'. This unique selection of 24 fantastic songs written between the years 1978-84, which were never meant to reach the ears of anyone but the composer himself, can now be enjoyed by everyone. The songs were saved and transferred from many long forgotten, fragile reel tapes recently found in Richard's attic. This double vinyl release is pressed in only 300 copies on beautiful red vinyl. Click here for much more information including an amazing youtube teaser and ordering information! German label Vinyl-on-Demand has released in September 2014, a beautiful boxed-set of long out-of-print material Richard created from 1979 - 1985. The work is entitled "VAULTED VISIONS - filmworks, synthpop, demos & experiments", and consists of 3 LPs, a bonus 7-track 7", a full lyrics sheet plus a bonus t-shirt for VOD subscribers. 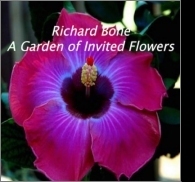 This is an amazing collection of Richard's early works! Much more info - tracklist, artwork and links for ordering & samples - can be found here. 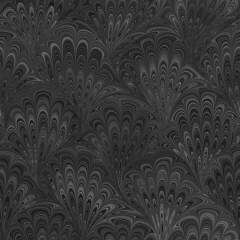 More information including track listing, ordering links and artwork can be seen on this page. 'Cranium Fizz is a 12" vinyl EP that released September 5, 2013. It contains four tracks best descirbed as 'chillout music for mind and feet'. The title track is the most danceable with elements of electronica and jazz sprinkled throughout. Highly rhythmic it is, but it never descends into a tacky homage to disco. Far from it. Bleeps and cranium fizzes are sprinkled atop an electric piano. The piano in turn rocks firmly over solid bass and percussion. The other 3 tracks slow the pace down a bit as they draw the mind into the chillout grooves. 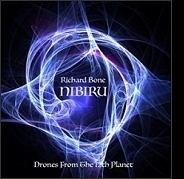 The production is clever and, as with all Richard Bone releases, begs to be heard on headphones!' More info here.